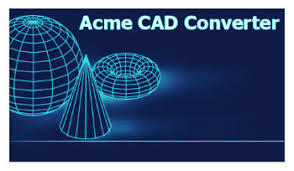 Acme CAD Converter 2019 V8.9.8.1482 Full Version (Repack & Portable) is a program for converting CAD formats DWG, DXF and DWF into vector and raster graphics. Supports batch mode operation. Allows you to view and print CAD documents and, if necessary, replace fonts in them. With Acme CAD Converter, you can convert DWG, DXF and DWF files to BMP, GIF, JPEG, PCX, TIFF, PNG, TGA, SVG, SVGZ, CGM, EPS, WMF, PDF, HPGL, PLT, and HGL formats. . In addition, it is possible to convert between different versions of CAD files.